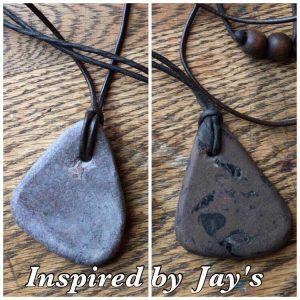 The stones can be used in a variety of different ways. The best way is what is comfortable to you, because constant contact is the best way to have an effective reaction with the stones. When using Stones, mud packs, or water stones, the purpose is to get low dose radiation to the affected area.. These are such low levels that they have never been proven to be harmful! The radiation is not attacking the problem, it is assisting your own body systems to respond. 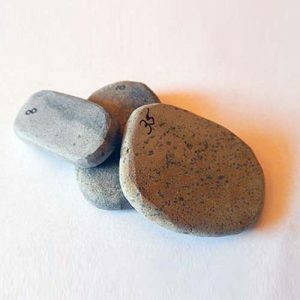 This stone should be placed directly on any part of your body you feel pain and left there for 45 minutes to an hour at a time. 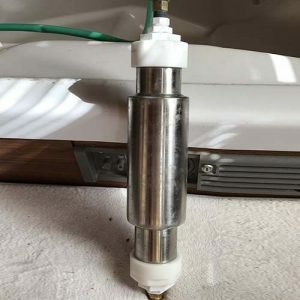 Putting the stone in warm water before use increases affectivity, because of the quartz in the stone, heat will create a small increase of voltage output from the stone. This has been found to increase the healing effects. This also creates a soothing effect that many massage parlors take advantage of. When beginning this protocol, it is suggested that you drink one to two glasses a day until your body has adjusted. After this period, drink all your treated water if desired. Many people ask what type of water to use, the answer is, what ever water you normally drink. If you have clean tap water you can use that. We also get asked what type of container should they use, plastic, glass, metal? The container material does not change the outcome of the charged water, so use what you personally prefer. The mud packs are used directly for radiation Hormesis. Because they are plastic they can be held under warm water before use to be more comfortable. Unlike the stones, the packs do not have to be warm or hot to make them effective. (Some people actually prefer them cool.) Temperature will not vary the energy level. Put a thin cotton material between the skin and the bag, and place the pack over the effected area for at least eight hours a day. ( more is better) Sleeping with it is an excellent way to get uninterrupted usage. If the packaging breaks or leaks do not be alarmed as it is not dangerous to have skin contact. This stone is meant to be used in generally the same way as the green stone, but there is no need to heat this stone. The grey stone does put out a higher level of radiation. 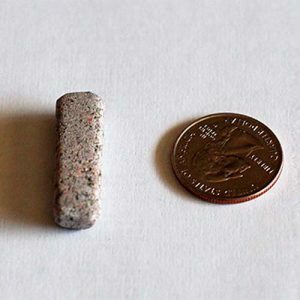 This stone is to be used when we want to directly attack a localized area, such as a tumor, liver, pancreas, colon, etc. The stone in this necklace is strong. It is perfect to radiate energy on the chest area. It has been very useful in helping with breast cancer, lung cancer, thyroid problems, and other problems in this vicinity. The necklace is very beneficial for anyone to wear. When you start, it is not uncommon at all for an aggravation period on the area of between 2 and 30 days. Other detoxifying symptoms can also be expected for the first 1-4 days such as nausea, headaches, swelling etc. If and when your body responds, don’t panic! It is a healing reaction that your own body is orchestrating. Other effects from the therapy usually include good sleep and increased energy. If you need, you can always contact the wellness instructors.